We’re back at MSTF in Porec for 5 days of tanning and dancing. The first evening was kind of unusual, since the milonga started with 2 hours of meditation in front of a TV screen (Argentina-Netherlands: 1-0 in penalties) and we discovered that Porec has active knowledge of the concept of ‘rain’. 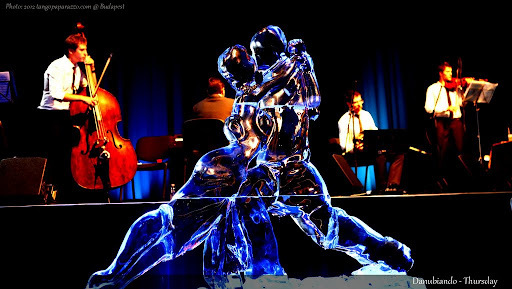 Not only is Budapest a beautiful city, but the Danubiando festival proves it’s also full of nice people and excellent tango. Currently at my 3rd day here and I’m having a blast. Thanks to Aron and his team for making me feel welcome!